← 2018: So how did we do? After weeks of speculation, Comcast Corp.’s NBC Sports Chicago announced Wednesday it has struck a multi-year deal to continue carry Chicago Blackhawks, Chicago Bulls, and Chicago White Sox games well into the next decade beginning in October. The new pact reportedly calls for exclusive local rights to all three teams’ non-nationally televised games. In the past, most contests appeared on NBC Sports Chicago, with at least a quarter of those games on Tribune’s WGN-TV, who carried the Bulls and White Sox since 1990, and the Blackhawks since 2008. The deal also gives NBC Sports all streaming rights. If teams are playing at the same time (which is often the case in April when the baseball and basketball/hockey seasons overlap,) the second game would air on NBC Sports Chicago Plus in addition to streaming. The news means the Chicago Cubs, who were originally partners with the other three teams in what was originally known as Comcast Sports Net since 2004, is likely starting its own regional sports channel as they were not included in the deal. 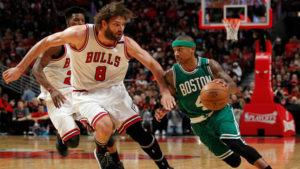 The Bulls are staying with NBC Sports Chicago. Meanwhile, the Cubs have been exploring their own RSN for years, preferring to build a channel around their brand. In the last few weeks, speculation has surfaced on the new channel’s name (Marquee) to the partners involved, including the controversial Sinclair Broadcasting but nothing has been officially announced. While the deal reflects the importance of streaming, the Cubs’ exit does lower the value of NBC Sports Chicago, given the North Siders were the highest-rated programming on the channel by far, and drew the most advertising revenue. 2018 was a dreadful year for the Bulls, Blackhawks, and the White Sox as all are either coming off losing seasons or currently stuck in one. Ratings for all three have dropped with the White Sox finishing in the ratings basement among all U.S.-based MLB teams – even behind the Los Angeles Dodgers, whose SportsNet LA is carriage-challenged. 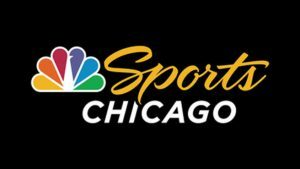 NBC Sports Chicago also carries college basketball, IHSA basketball and football playoff games, and minor-league baseball featuring the White Sox’s farm team, the Charlotte Knights. Meanwhile, a statement to Crain’s Chicago Business by Tribune Media executives didn’t provide any insight on what WGN would do with the pending loss of all three teams and possibly the Cubs, who’ve aired on WGN since 1948. “We have great relationships with all the Chicago sports teams and as the long-time broadcast home of the Cubs, Sox, Hawks and Bulls, we remain optimistic that we can continue bringing free over-the-air games to Chicago’s sports fans for many years to come,” a station spokesperson said. As you recall, WGN dropped its CW affiliation in 2016 in order to carry pro sports contests in primetime. But over the last fifteen years, local sports programming has shifted from over-the-air broadcasters to regional sports networks – almost on an exclusive basis as teams can make more money from those deals since they can collect fees not only from advertising, but from cable operators in a dual revenue stream. It was one of the reasons why the ACC declined to renew a television deal with over-the-air syndicator Raycom Sports and signed one with ESPN to launch a new cable network. WGN was basically the last broadcast station in the country carrying games from three of the major sports leagues. Tribune is currently in the process of being purchased by Nexstar for $4.1 billion, but it is not clear if the company being on the sales block for the last two years played any role in the decision for the Bulls, Blackhawks, and White Sox to exclusively hook up with NBC Sports Chicago. And with a new emphasis on streaming, NBC Sports Chicago had an advantage WGN simply didn’t have as the Tribune station doesn’t have the capability to do so with sporting events. Currently, WGN airs reruns of black-ish and Last Man Standing in double runs from 7 to 9 p.m. on nights when the station isn’t running sports. If WGN loses the Cubs, et. al, the station could look at some options, possibly expanding local news into primetime and even re-affiliating with The CW, whose deal with Fox-owned WPWR runs until 2021.